First PES 2015 gamescom gameplay - Marvin Ronsdorf of prorevo.de just released the first PES 2015 gameplay video from this year's Gamescom. 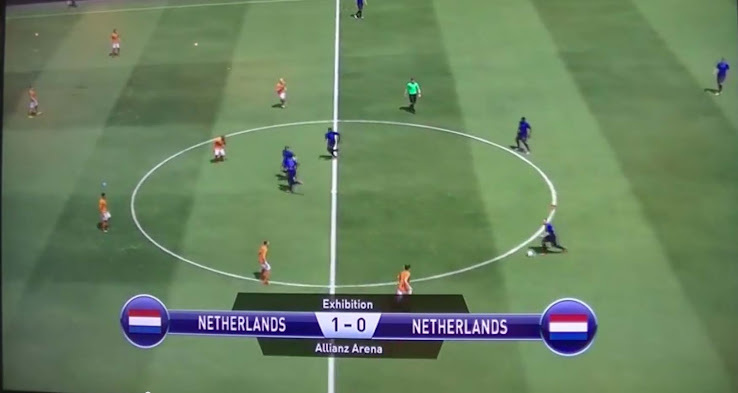 The first PES 2015 Gamescom gameplay video is showing a match between the Netherlands and the Netherlands at Allianz Arena stadium. This is the first PES 2015 Gamescom gameplay video.